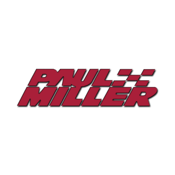 The Paul Miller Organizations goal is to provide the Sales or Service buying public with a superior buying experience with special attention given to the details and elements of excellence that are really important to customers. - Check out the "Postboard" for new messages, coupons and specials straight from us to your device! You can even reply to these messages directly. - Our Facebook wall is parsed right into the app making it super easy to check out what we're talking about. - Facebook integration allows you to post anything to your own Facebook wall! - Manufacturer news helps you keep up-to-date with all the news and happenings in the auto world!